For Towers of Power’s final project, I’m working with Jason Dunne and Abe Rubenstein to create a GSM driven paper fortune teller. 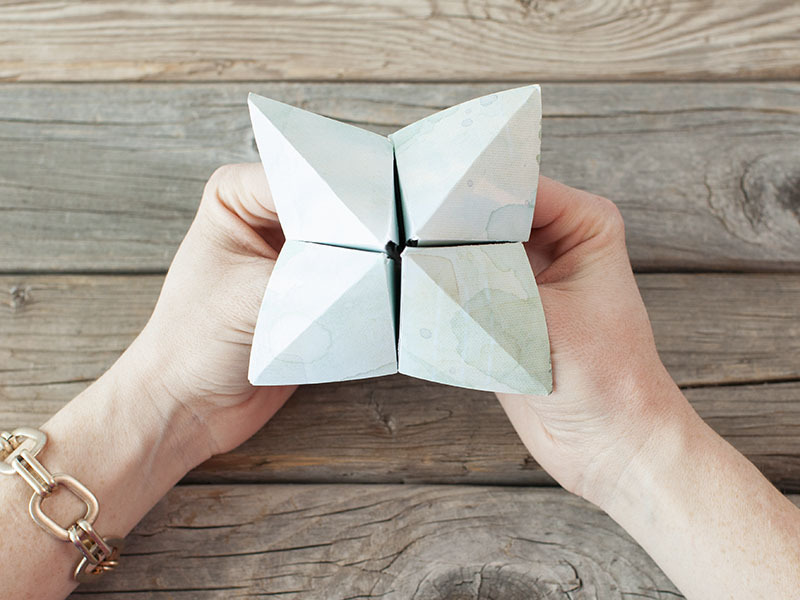 Like with the paper fortune teller game that we played as kids, the player picks a side and counts the number of pinches and pulls. Unlike that game, the player sends a text message to a designated recipient by tapping the picked side . Before partnering with Jason and Abe, I had wanted to make a dice phone. Depending on which side the dice lands a corresponding text message would be sent out. We all liked the idea of random communication that the player would have little control over. I also liked the idea of a screen-less interface for a phone. We thought about other random games/toys, such as the magic 8 ball and Russian roulette, and decided on a paper fortune teller. Velostat/Linqstat (one square meter to be cut into 12 pieces): $15. Arduino GSM Shield/Quectel M10/Antenna: $90.